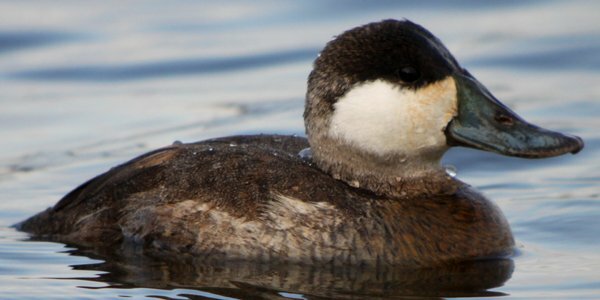 Lately, I have grown a bit obsessed by Ruddy Ducks, those lovable little stiff-tailed ducks that are nearly ubiquitous on any sizable freshwater body of water in New York City this time of year. The variety of plumages that they show and the way different individuals molt at different times is interesting to me and I have stopped being surprised at seeing a small flock of ruddies with some nearly in full breeding, or alternate plumage, while others are still in their basic, or non-breeding plumage. 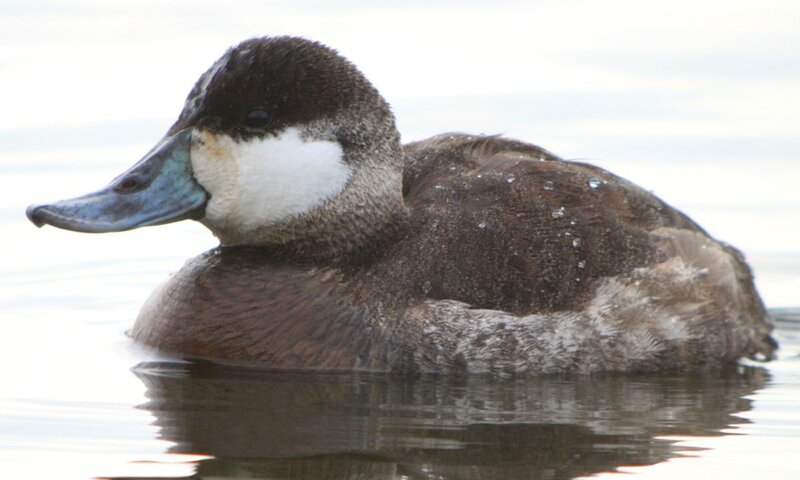 It won’t be long before the drake Ruddy Ducks are all in their breeding finery and doing their displays for the females so I thought I would take the time this past weekend to try to get some decent shots of the males that are still in basic plumage. I have hope that in the next couple of weeks I will be able to get enough decent shots to share a gallery of birds in transitional plumage and then another of birds in alternate plumage. Until then, enjoy these basic-plumaged birds* and make sure to check back between now and mid-April for further galleries of Oxyura jamaicansis. All of the shots in this post were taken on 12-13 March 2011 at Jamaica Bay Wildlife Refuge, Queens, New York. 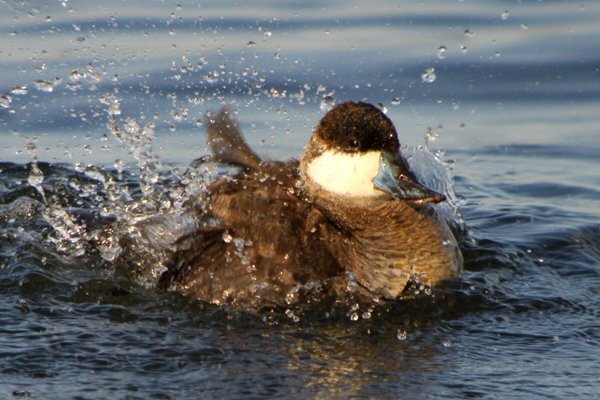 If you liked this post featuring Ruddy Duck images why not check out 10,000 Clicks, our collection of photo-galleries? There is something for everyone at 10,000 Clicks! *You might find some hints of alternate plumage coming in here and there but, at most, an occasional shot shows a bird just starting to transition. 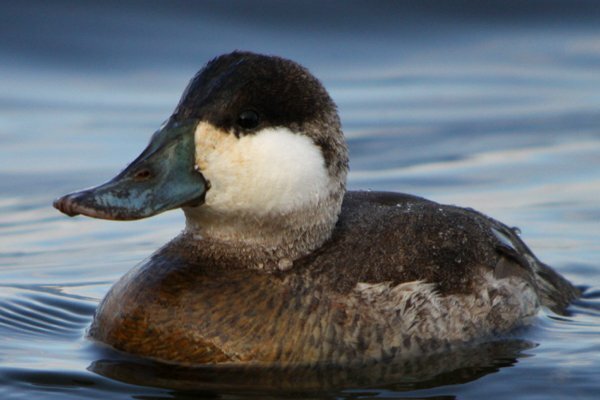 Sadly, here in Europe there have been continuous attempts to wipe out the introduced Ruddy Ducks, due to their habit of cross-breeding with rare White-Headed Ducks. I understand the rationale behind it, but it’s still sad. They’re lovely birds, and they didn’t ask to come here, after all. To me, they’ll always be the Rubbery Ducks. 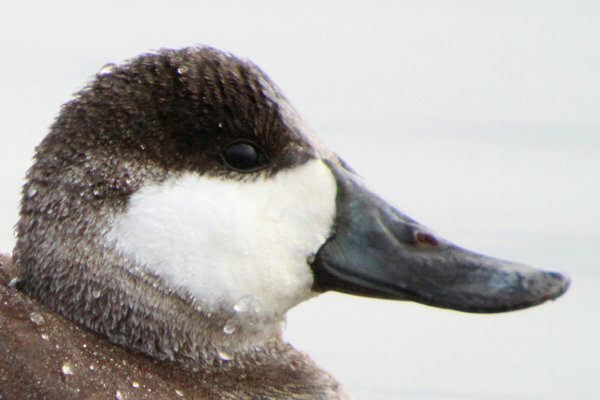 I will never forget seeing a flock of around 1,000 birds in Michigan, especially as it took me two decades to come up with a total of two observations (at a single bird each, both females) of its European/central Asian counterpart. @Laura Brown: It is a tough situation there and it makes me wish it were possible and economical to catch them all and bring them back to North America. @Jochen: I like that name and I might just have to adopt it. 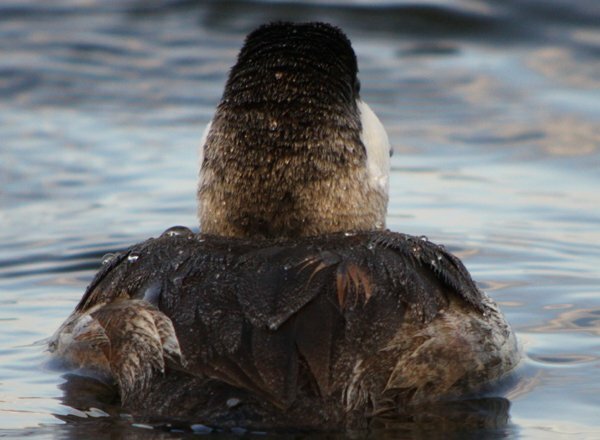 I always called them Rubber Ducks because to me their silhouette is perfect – just ask Ernie. However, with only “Rubber” people had no idea what I meant. So I switched to “Rubbery”.